Posluns, Michael. "Congress of Aboriginal Peoples". The Canadian Encyclopedia, 07 March 2017, Historica Canada. https://www.thecanadianencyclopedia.ca/en/article/congress-of-aboriginal-peoples. Accessed 19 April 2019. 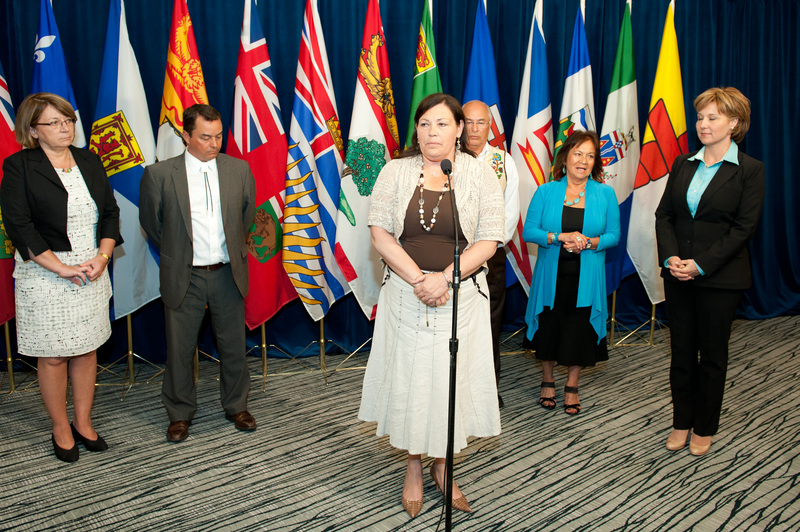 Betty Ann Lavallée, former national chief of the Congress of Aboriginal Peoples, with BC Premier Christy Clark and national Indigenous organization leaders Shawn Atleo (national chief, Assembly of First Nations), Mary Simon (president, Inuit Tapiriit Kanatami), Clement Chartier (president, Metis National Council) and Jeanette Corbiere-Lavell (president, Native Women's Association of Canada). In 1993, under the leadership of Jim Sinclair, the Congress of Aboriginal Peoples (CAP) grew out of a reorganization of the Native Council of Canada (NCC). Since its founding in 1971, the central objective of the NCC, and now CAP, has been to represent the interests of off-reserve status and non-status Indians, Métis and some Inuit people. The Congress of Aboriginal Peoples speaks primarily for non-status Indian people and the Métis population in Canada, as well as for some other Indigenous groups. Until the 1950s, Métis interests were represented by a variety of local political organizations and activists. In 1961, the National Indian Council (NIC, sometimes referred to as the National Indian Advisory Council) was created under government auspices as an umbrella group to advocate for the concerns of Métis and non-status Indians (usually urban or off-reserve Indigenous peoples). By 1968, it became apparent that pursuing such a wide variety of interests through a single organization that was under government influence was problematic. In addition, there were also disparate voices of different groups with different goals. The Canadian Métis Society emerged, which, in turn, became the Native Council of Canada (NCC) in 1970. The NCC was composed of provincial and territorial organizations, usually called “native councils” or Métis and non-status Indian associations. At the same time as the NCC’s emergence, the National Indian Brotherhood (now Assembly of First Nations) was established to represent status Indians. The Métis National Council emerged in 1983, about the same time, and in the same region, as the Prairie Treaty Nations Alliance. With the emergence of the Métis National Council as an alternative voice of Métis nationalism, together with the 1985 reinstatement, under Bill C-31, of women and their children who had been forcibly enfranchised, it became necessary for the Native Council of Canada to redefine its objectives (see Indigenous Women and the Franchise). 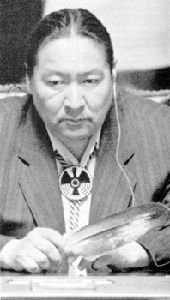 A year before it was to transform into the Congress of Aboriginal Peoples (CAP), the NCC received federal funding in 1992 to participate in the federal-provincial Conference of First Ministers on the Constitution in Charlottetown. As a result of these talks, the Charlottetown Accord included a proposal to enshrine Indigenous self-government in the Constitution. Ultimately, this proposal – along with the Accord itself – was rejected by the Canadian public in the 1992 referendum. The following year, the NCC became CAP with the intended goal of providing a voice for the rapidly growing urban, status and non-status Aboriginal population. CAP holds an annual assembly that includes member organizations. It is governed by a board of directors consisting of presidents of the member associations and an executive elected by the assembly. For CAP, the long-term effect of the 1985 amendments to the Indian Act has been to focus on the need for off-reserve programs for the rapidly growing Indigenous population in most urban Canadian communities. 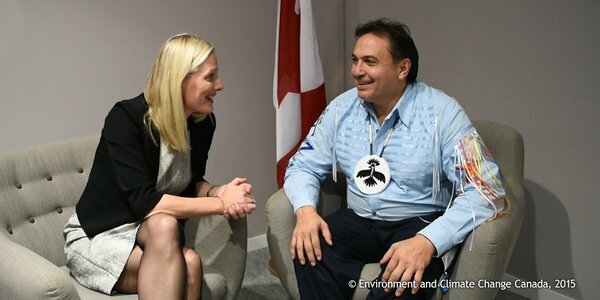 CAP policy focuses on practical issues facing local Indigenous communities such as health, justice, opportunities for youth, housing and environment. To bring attention to these issues, CAP has consultative status with the UN’s Economic and Social Council. CAP rests its demands on the affirmation of Indigenous rights in the Constitution as well as on the needs of First Nations people. It also seeks a special relationship for Métis and non-status Indians with the federal government (see Aboriginal People: Political Organization and Activism; Aboriginal Women’s Issues).